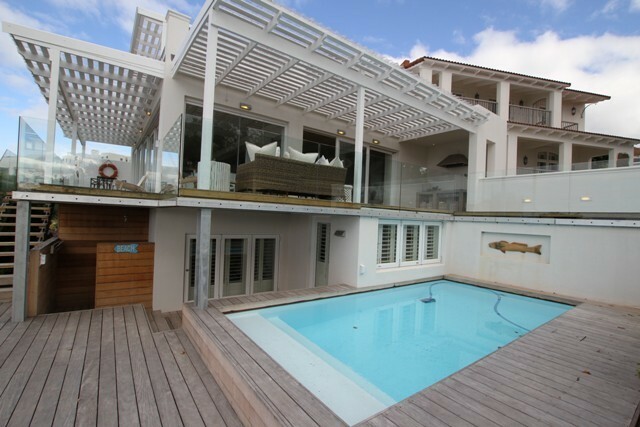 Stunning multiple level Plettenberg Bay holiday home within walking distance to town. 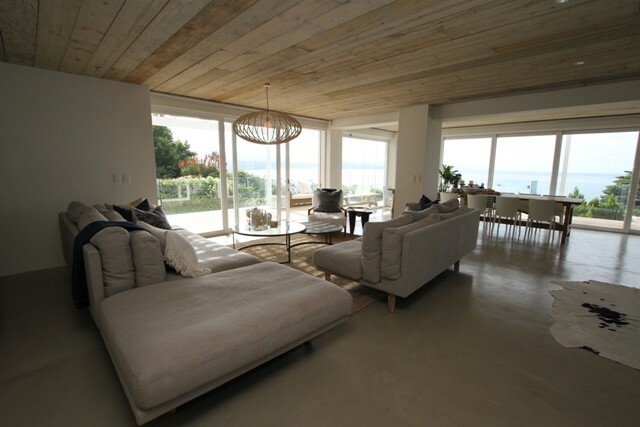 There are three bedrooms on the 3rd floor all with Ocean and Mountain views. The first bedroom has a queen bed and en suite bathroom with shower, toilet and basin. Both the second and third bedroom both have 2 single beds each and share a full bathroom. The main bedroom is on the 2nd floor and bears a king bed, change room with toilet and basin and an open plan bathroom equipped with a shower, bath and his and her basins. The balcony hosts 2 sun loungers and a mini lounge. Beautiful ocean and mountain views. 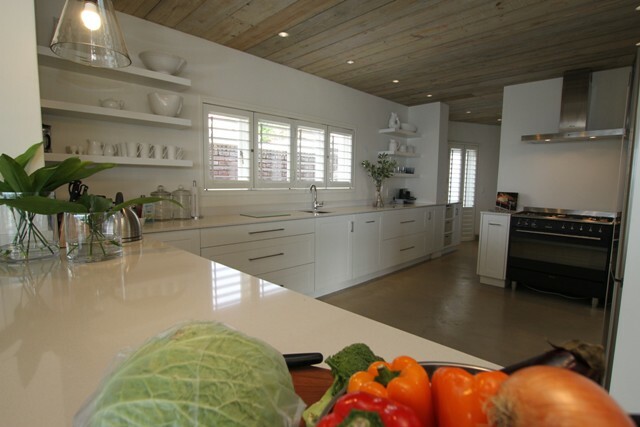 Fully equipped kitchen, lounge, dinning room and bar are all on the 1st floor. Gas braai on the wooden deck. Entertainment lounge with table tennis, sound system and TV are all on the ground floor. 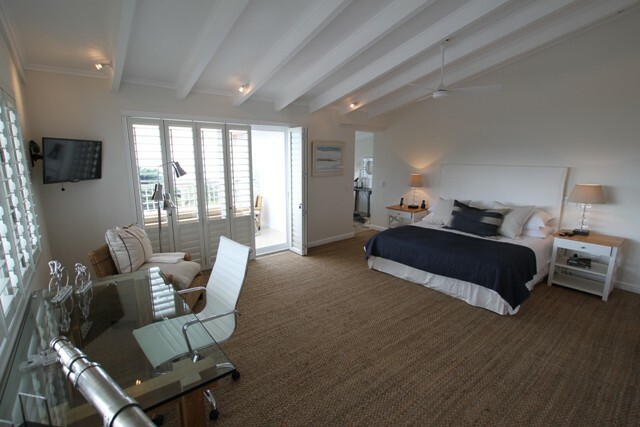 The 5th bedroom is also on this floor with queen bed and access to the pool and outside shower. Kitchenette and full bathroom not en suite. Extra linen for all beds and bath towels are provided, please bring your own beach towels. DSTV and smart card are supplied. Thembi the retainer must be employed by the tenants at R200.00 per day. Comfortable three bedroomed apartment at Bell Rock.